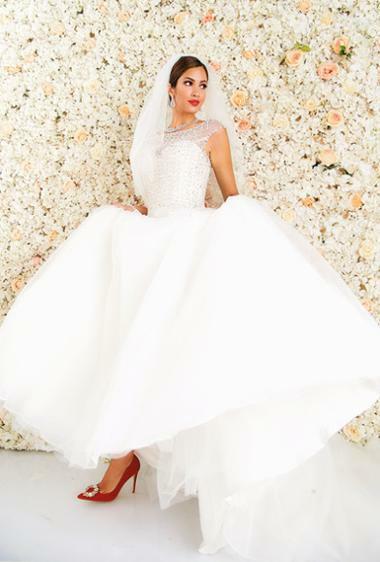 Blush tulle gown, Dh5,000, Mynamour; Head piece, Dh450, The Wedding Shop; Diamond necklace, Dh46,500, earrings Dh9,650, ring, Dh9,950, all Sky Jewellery; Bag, Dh735, Shoes, Dh599, Wedding Collection at Dune. 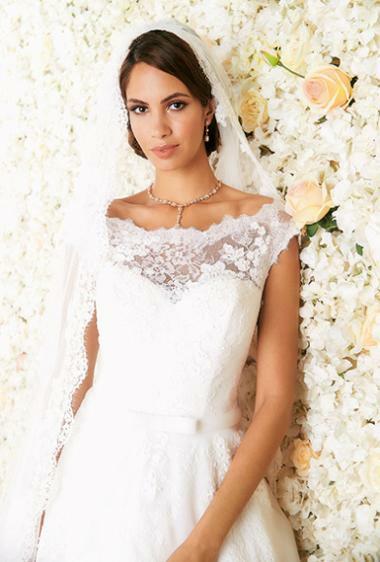 Lace full gown, Dh5,040, St Patrick at The Wedding Shop; Lace trim veil, Dh2,100, Pronovias at The Wedding Shop; Rose gold necklace, Dh28,500, earrings, Dh7,650, both by Liali Jewellery. Crochet fish tail gown, Dh8,190, St Patrick at The Wedding Shop; Hairband, Dh840, Rainbow Club at The Wedding Shop; Earrings, Dh345, ring, Dh345, both Pandora. 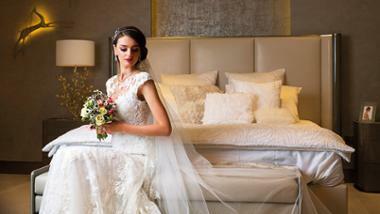 Crochet & tulle gown, Dh835, BCBG; Earrings, Dh445, necklace, Dh645, ring, Dh445, all Pandora. Tassel 1920s dress, Dh8,800, Nora by Dovita Bridal at Vanila; Necklace, Dh341,414, earrings, Dh110,768, ring, Dh35,966, bracelet, Dh99,462, all La Marquise Jewellery; Bag, Dh950, The Wedding Shop. 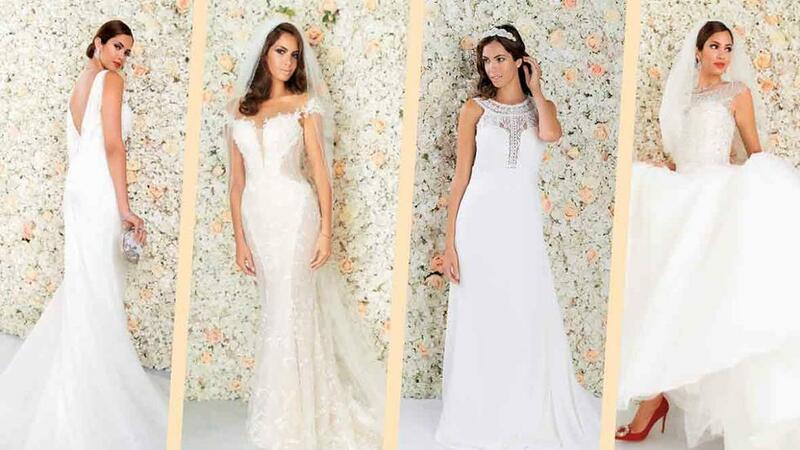 Beaded full gown, Dh11,200, Alicia by Ronald Joyce at Vanila; Veil, Dh735, Pronovias at The Wedding Shop; Necklace, Dh356,844, earrings, Dh91,183, bracelet, Dh109,066, ring, Dh29,184, all La Marquise Jewellery; Shoe,s Dh599, Wedding collection at Dune. 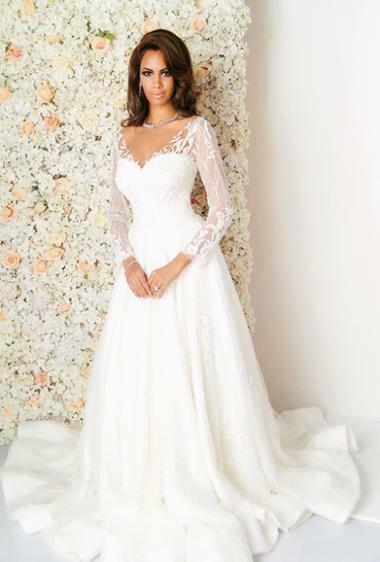 Sleeved beaded full gown, Dh12,600, Solomia Bridal at Vanila; Necklace, Dh237,459, earrings, Dh53,849, ring, Dh29,323, bracelet, Dh104,464, La Marquise Jewellery. Mermaid beaded gown, Dh7,000, Mynamour; Veil, Dh2,750, Vanila; Earrings, Dh10,000, ring, Dh5,000, bracelet, Dh12,000, all Liali Jewellery; Shoes, Dh599, Wedding Collection at Dune.